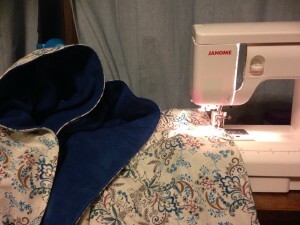 A night of little projects. 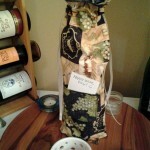 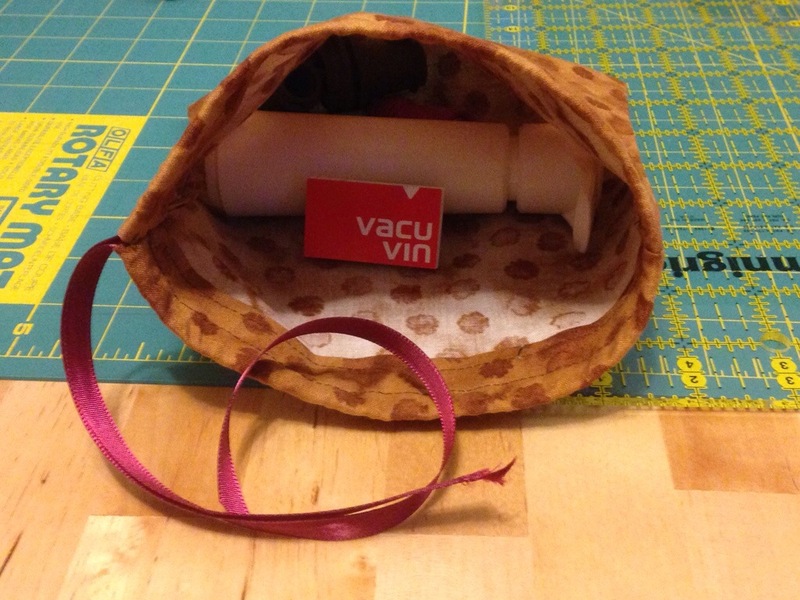 I made this wine accessory bag to hold the wine bottle stopper set I got for Christmas. 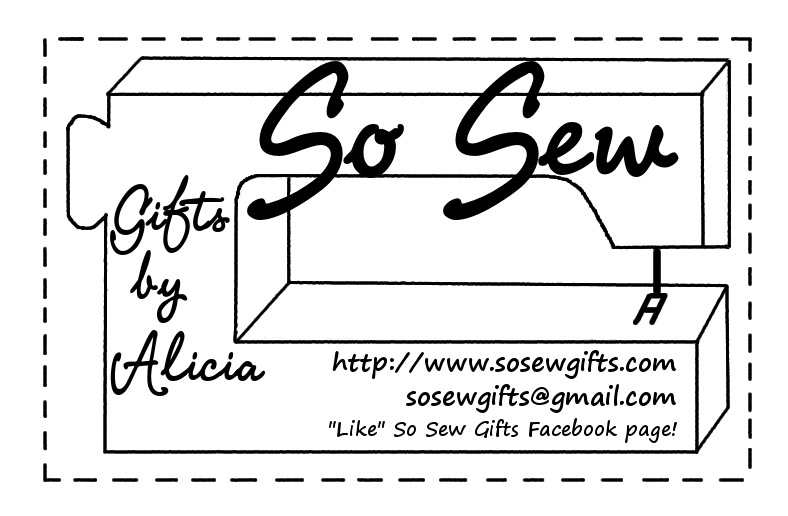 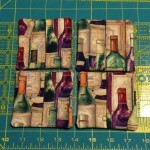 Fun to use a scrap of a past wine related project and some ribbon to make a custom organizer. 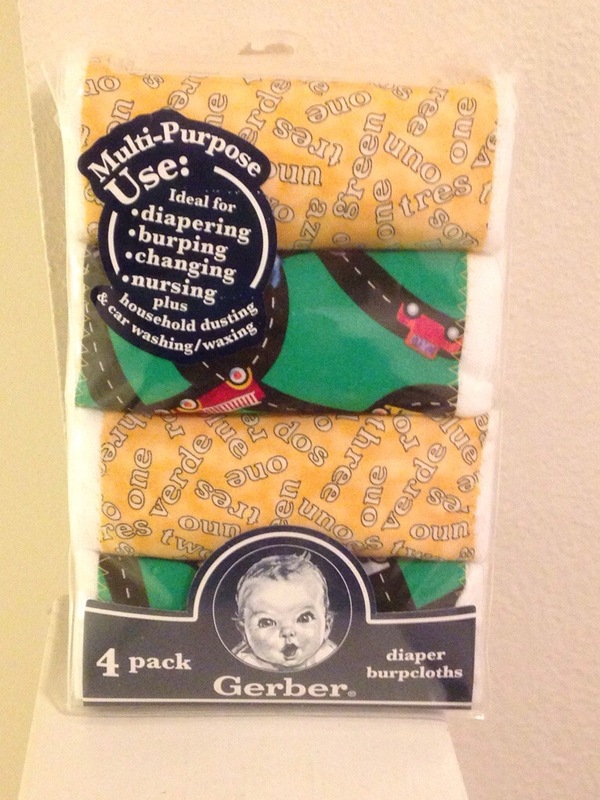 Also, finished customizing a package of baby burp cloths. 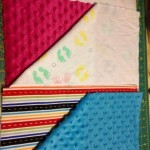 Again, using scraps, the trucks on a road and bilingual color/number fabric will be just right for a Spanish speaking mom expecting a little hijo. 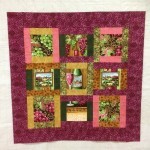 Over the year, I’ve made a few items using wine fabrics. 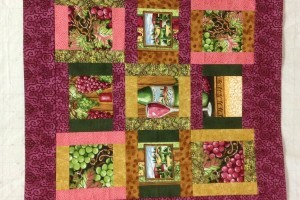 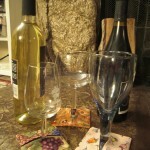 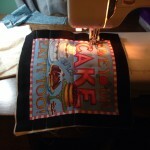 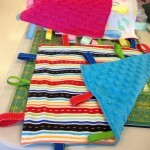 The quilt wall hanging/table topper is a gift for my parents but the wine bags and wine coasters are for sale!